The installation of floodlights on four of our courts is now complete! It’s been a long project but we’re now near the end, with a gate entry system also installed and developments around the clubhouse still ongoing. 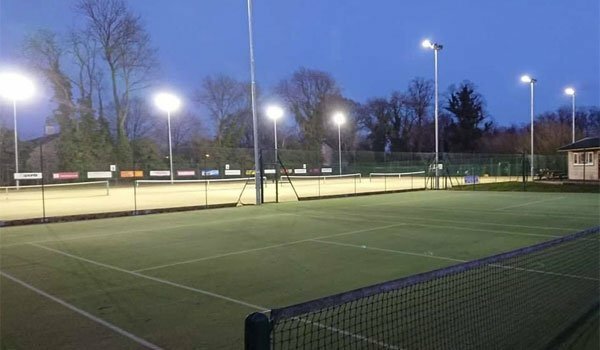 The new floodlights will help ensure the courts are available to be used throughout the darker months (weather allowing, of course) both for coaching and private games. Details will be released soon on how the new entry system will work (for the moment it has not been activated) but it will involve booking online and receiving a code to gain access to the courts. Whilst there have been a number of people involved in the success of this project, special credit and thanks should be given to Lyth Watson and Chris French.